Good morning. I would like to thank you for taking the time to read this message today. In this election year, we know you have many important choices to make, both on a national and local level. We are here to ask you to make another important choice, the choice for who you want to represent you in one of the most important offices in the land. Who do you want to be the Emperor and Vice Emperor of Football Viewing and Gameday Experiences? As far as we can tell, we are the only two interested in this position, so your decision shouldn't be difficult. Because everyone should be an informed voter, we have prepared a 52 page Matthewfesto, laying out the tenets, goals, and beliefs of our campaign. To summarize this, we have laid out just a few of them below. Please take a look. We feel that these items will keep all Football Viewing and Gameday Experiences moving forward in a positive direction. If, and when, you have time, we encourage you to read the full document. No Packer games will ever go unseen. In every area of the U.S. including its territories, the game shall always be on local TV. Wisconsin cheese will not be taxed, lost revenue from this will be gained by doubling tax on all California cheese. Fans at Lambeau who yell, "Sit down" or "Down in front" or some form thereof, will be disappeared from their seats and placed in the DOME. Dallas will be stripped of the title "America's Team". Bratwurst will be the Official National Sausage. Kraut the Official National Condiment. Wayne Larrivee will be appointed press secretary. Daggers will be plentiful. The term "tailgating" will not be allowed to describe whatever it is Vikings fans do before games because it certainly is not tailgating. Ted Thompson will be raised to level of "Most Venerable Director of Green and Gold Greatness", a name more befitting of a man of his stature. Seattle will be changed to a win because it's the right thing to do. All tailgating will be a Red Zone...in that it will be a communist state. We, as Packer fans, know the importance of sharing sauerkraut, blood Marys, bratwurst, beer, and cheese. There will be no classes, no money, no hierarchy, there will be enough for all, and all will prosper. We will work tirelessly with New Glarus Brewing to convince them to allow their glorious libations to be available in places other than just Wisconsin. 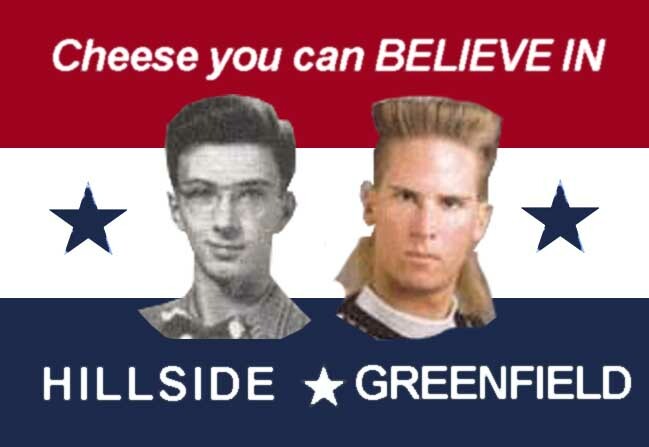 Thank you for your consideration, and remember, Hillside-Greenfield for Emperor and Vice Emperor of Football Viewing and Gameday Experiences. Cheese you can BELIEVE IN. This message has been paid for by Cheeseheads for Prosperity and Kraut. You, sirs, have my vote.